Jim Chally Presented With Spirit Of Freedom Award - Alzheimer's Idaho - Serving families in Boise and the Treasure Valley. 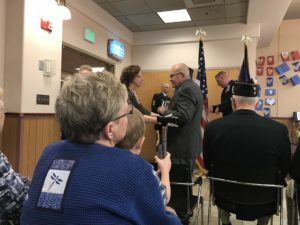 Jim Chally, a member of the Board of Directors for Alzheimer’s Idaho, Inc., was presented with Senator Crapo’s Spirit of Freedom Award on Veteran’s Day which recognizes the continued service of veterans. 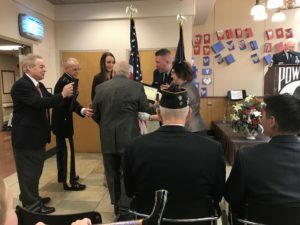 Jim has offered more thatn 2,000 hours as a caregiver for local veterans. We are so proud and privileged to have Jim as a board member and the great knowledge and service he continues to offer in regards to our locally affected Alzheimer’s/dementia clients and their families. Thank you so much Jim! !